Why Are Eight NATO Forces Going to Ukraine as Their Final Destination? Soldiers from eight military countries, including the US, are to join forces in Ukraine next month for the country’s largest aviation exercise to date. The Starokostiantyniv airbase, located 240 kilometers from the capital Kiev, will host 950 employees from the US, Belgium, Denmark, Estonia, the Netherlands, Poland, Romania and the United Kingdom, the Stars and Stripes reported on Wednesday. According to the military newspaper, the exercises will train soldiers in sovereignty and air interdiction, air-ground integration, air mobility operations, aeromedical evaluation, cyber defense and other training. The announcement of the exercises came after the Ukrainian government had spoken out on plans to create a new military base in the Azov Sea. 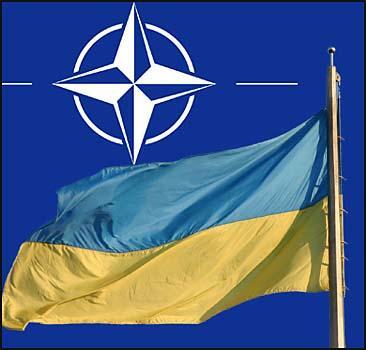 Ukraine is not a member of NATO, but has shown interest in joining the Alliance, which has moved slowly eastward since the end of socialism in Eastern Europe. Ukraine’s interest in NATO has risen since 2014 when the pro-Western right-wing government came to power after then-President Viktor Yanukovich withdrew from the trade deal with the European Union in favor of a Russian alternative deal. At the end of last month, US national security adviser John Bolton, upon returning from Kiev, told Reuters that Ukraine has advanced in its efforts to join NATO, however, there is much work to be done. Bolton stressed to reporters that it is dangerous not to solve the crisis in Ukraine, referring to the vote of the Republic of Crimea in 2014 to join Russia and remain independent of Kiev. However, Putin has emphasized that the situation in Crimea is final and not open to negotiation.